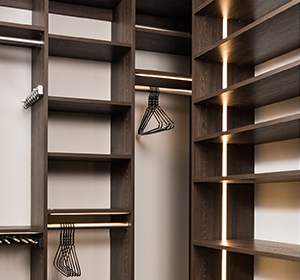 Beyond Storage can significantly increase the storage space in any closet with custom shelving options. Standard trim shelves are perfect for closets and kitchen pantries while glass shelves add elegance and a professional feel for home offices and commercial offices. We also offer closet shelves with shoe fences to conveniently store shoes. All of our shelves are fully customizable from the size to the trim to the finish. 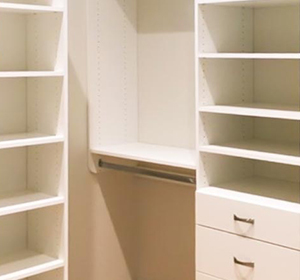 Our designers will work with you to find the perfect custom shelving option for your storage needs. 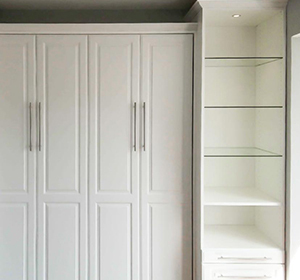 Browse through our selection of custom shelves below and contact Beyond Storage for more information.